It's time to retire your outdoor Metal Halide (MH) floodlight because it is energy hunger, high maintenance and not environmental friendly. The Mini Omega 2.0 Solar Floodlight (SC861400 AKA The Monster) on the other hand is designed to replace 250W MH floodlight, which is energy efficient and low maintenance. 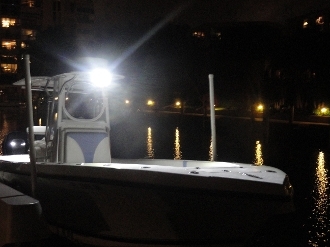 Installing the Mini Omega 2.0 Solar Floodlight is more affordable than installing a traditional Lighting in some area. Watch the YouTube video for information! Trench Wiring – with the SC861400 you do not need to run underground wire from the nearest electrical transformer to your lighting system. Trenching – Because the SC861400 is a completely standalone, self-contained solar floodlight System, you do not need to pay the additional costs of digging trenches for your underground wiring. Replacement Landscaping – Because you do not have to trench to install the SC861400, there is no additional cost for replacing and repairing the ground that is torn up during the trenching process. 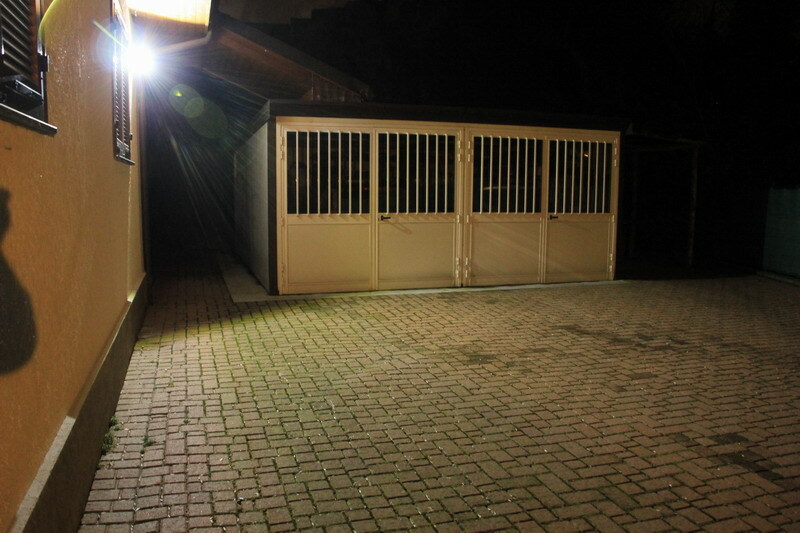 Land Usage Rights – With no need for external wire connections, etc, the SC861400 allows you, the outdoor user to provide consistent, affordable lighting to your lighting locations without the need to negotiate with property owners to use their property for underground wiring and landscaping. 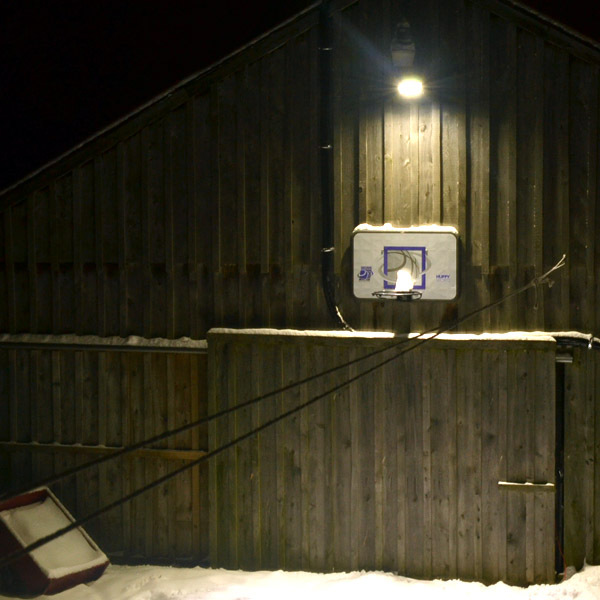 No Electric Meter – With the SC861400 there is no need to meter your lighting system. This means you save the cost of purchasing and installing a meter, and the electrical connection fees. No Electric Usage and Demand Charges – Because the SC861400 is entirely Solar Powered, you don’t need to pay for electrical usage. The Mini Omega 2.0 Solar Floodlight is equipped with 256 units CREE high power LED solar floodlight which gives you up to 3-14 hours depend on brightness (intensity setting) each night. 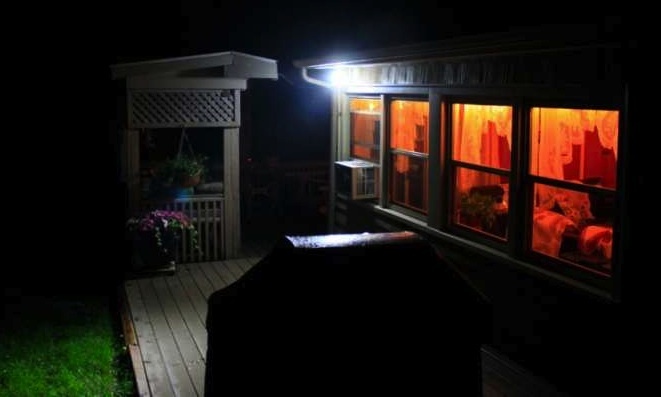 It is design for budget and compact solar lighting applications including: general outdoor lighting, outdoor security lighting, indoor shed and outbuilding lighting, sign lighting, feature up-lighter, portable work light (compact design & light weight) and even emergency home backup lighting - making sure you have light whenever you need it. With long range RF Remote Control with dimmer capability for conserving energy. Customized and powered by high efficient Super Cell industrial grade solar panel (compact design). Designed for compact, light weight, tough and durable life and requires minimum maintenance. With 256 units high power CREE LED lights life span more than 50,000 hours, which is 5 times longer than conventional light bulb. Easy installation, plug and play technology. Compartment IP65 design, die cast and waterproof. Utilize solar energy and environmentally friendly. Floodlight is dedicated faceted optics to optimize beam control and maximize light output. 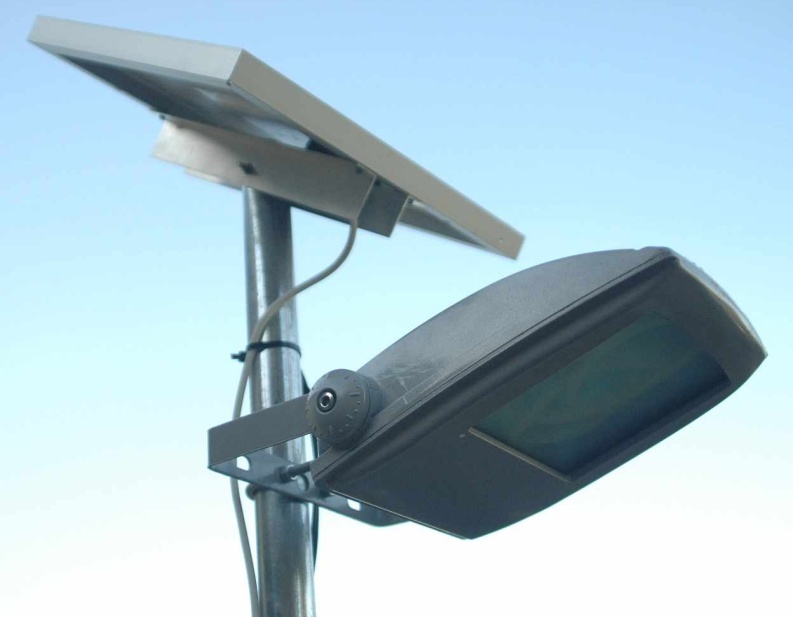 The floodlight is design with high pressure die-cast aluminum housing for strength and anti-corrosion. Using high efficient LED driver to support constant power output. An advance high power 256 units CREE LED that produced 1,400 lumens per floodlight. Proprietary Fusion Battery Technology that offer 2-5 days battery reserve. The Fusion Battery is long lasting, durable, fast charging and light weight. All In One Solar Power inclusive Fusion Battery, GAMMA 3.0 Controller System and AI Power Management System. Fusion battery that designed for 2,000 cycles. Pulse Width Modulation GAMMA 3.0 Charge controller and microprocessor automatic lighting controller and timer system. AC-DC Fusion Battery Fast Charger (optional & not include), fast charge the fusion battery within 3 hours.